Magisso is a Finnish design collective that creates simple, beautiful solutions to everyday problems—and they’re constantly winning awards for their designs. 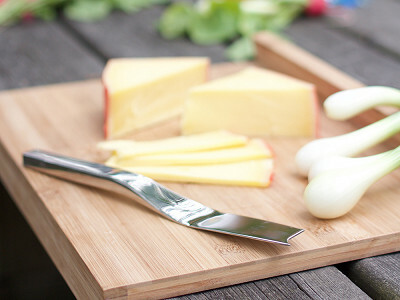 Their iconic cake slicer is a whole new approach to cutting and serving. Push the loop down to cut a neat, perfectly sized piece. Squeeze and lift to serve. No need to balance the slice as you move it to the plate. 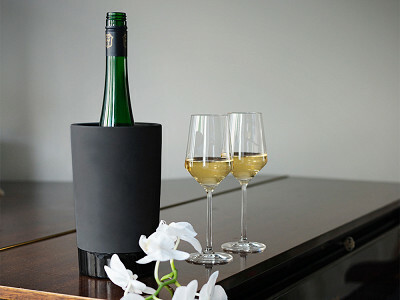 That same brand of thoughtful innovation transforms beverage chilling with Magisso’s naturally cooling ceramics. Submerge them in cool water and the porous surface absorbs it quickly—almost like magic—and the outside becomes dry. 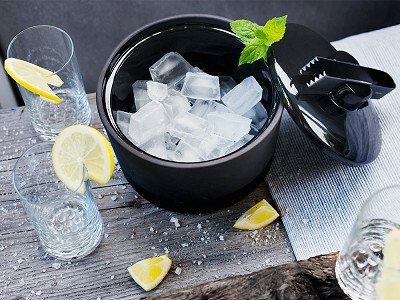 With the cool water inside, your chilled beverages stay cool for hours without needing ice. Plus there’s no condensation dripping onto your hands or table. The matte surface is an aesthetic and functional detail, too. 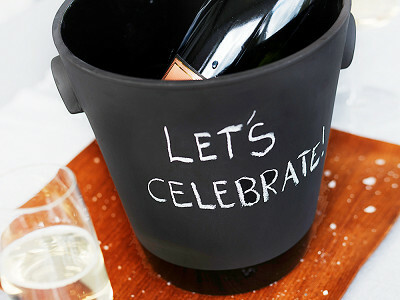 It looks sophisticated while doubling as a chalkboard. We can’t wait to see what simple, stylish solutions the Magisso team will come up with next. Hello everyone! I'm proud to introduce Magisso to The Grommet. I'd be happy to answer any questions you have! @Leslye Hi Leslye! Thanks for your question. Individual glass holds 19.2 fl oz. What does 40% cooler mean? So if it's 100 degrees out, the drink will be kept at 60 degrees? @Nancy Hi Nancy, thanks for asking. The cooling process is related to outside / room temperature as it is a natural process. So, you got it right. And it also works great in direct sunlight. how do u clean the tumblers? by hand or can u place them in the dishwasher? How long do they last? Can u place them in the freezer? How do u take care of them? And last but least could u put ice in them if u wanted to. @Nancy @mary As Nancy mentioned, yes dishwasher safe. And they last as long as any good quality ceramic cup or plate. @mary Oh and yes, freezer. We do not state that they should be placed into freezer as there is a natural cooling process only with water. However I know some people put them to freezer too before soaking. And ice works well in it if you so wish. Juhani these products look awesome, especially the cake slicer. Grommet, you need to do something about your information location. going to 'buy now' is the last place I would think to get details (I'm not the only one judging by the # of times you have to repeat this) and I have to think this is something your webmaster could fix in a heartbeat. @candice Thank you, thank you! Much appreciated. We really want to make a change and things better with our functional design. Speaking of change, I will also address your comment to Grommet for making things better. Hi Candice, thanks for the kind words about Magisso. Not only do they look awesome, they ARE awesome. And believe me, if I had a nickel for every time we have talked about moving the information of our products, I could buy a car to drive me to the bank and cash the six million leftover nickels I have. I assure you it will take a handful of heartbeats to get it done, but it is something we are actively working on for the future. Thanks for the feedback and stay tuned! How durable are these? Say one gets bonked against the sink while I'm cooling it? Is it more prone to breakage than a standard drinking glass? @Kathy Good question, Kathy. Obviously as it is made of ceramics it might break if you drop it on the floor. In our product development process we have kept durability in mind and for example minimized sharp angled corners for better durability. @Juhani - Another thought is a travel mug type lid for these. Prefer to have a lid on my stuff here at my desk at work. Just in case. @Kathy Good idea Kathy. We are sure to keep that in mind. Will you cake slicer slice pie as well? It's a lot harder to cut through pie crust, and sometimes the slice sticks to the pan especially if the filling bubbles over during cooking. Is the angle 45 degrees (8 slices per cake)? 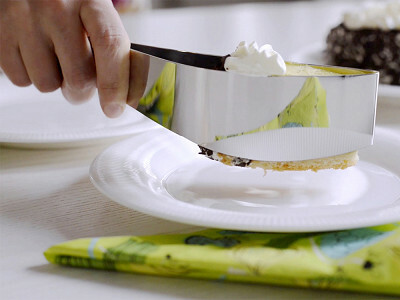 @Andy Super idea for slicing pie! Thanks for sharing. This is perfect example of how we too see problem solving design development. As for the angle of Cake Server, it is designed for 10 slices per cake. Hi Andy, just to clarify, the cake slicer probably won't work on pie because its design doesn't account for a dish in the way, but it sounds like Juhani already has the idea stored away for a new product! 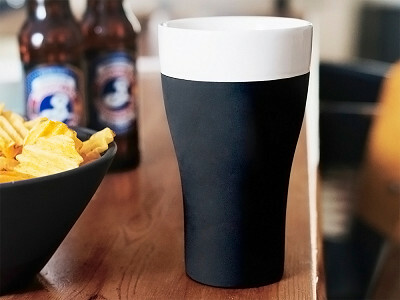 Hi there - I'm loving the idea of these cooling pieces. Wondering, though, if there are any plans for some sort of serving platter that works the same way? Would be perfect for buffets and entertaining! @Heather Hi Heather, thanks for your kind words! @Mike Throwing in my 'yes! please!' to the cooling platter idea!! so many times I've wished for such a thing... and you guys will clearly do it in an aesthetically beautiful way. Noted, Melanie! Thanks for the kind words! I was about to order your tumblers when I noticed that they are made in China. Too bad, now I will not. I really expected better from Grommet. Hi Steve, I am sorry to hear that. While we always look for products made in the USA and have a catalog devoted to such products here, we know that is currently impossible for every product to be manufactured in America. In fact, most of our products on site at the moment are not. But just because a product is made in China does not discount its innovation, especially in the case of Magisso. And that is what we look for above all — innovative new products from small-scale Makers. Plus, Magisso is a Finnish company so manufacturing in the US might not make as much sense as a US-based company. However, if you want to know what you can do to help empower American manufacturing, you can check out a blog post I wrote on the subject here. @Mike I didn't say anything about products having to be made in the USA. I do my best to avoid buying products made in enemy countries like China. Well I don't want to generalize like that. China is a hotbed and building ground for innovation and in that way alone they are an extremely valuable ally to many of our Makers. But we do appreciate you sticking to your shopping values. Hi Steve. 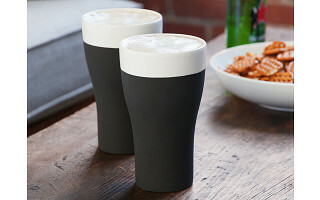 For the Cooling Ceramic Tumblers we actually chose the manufacturing partner based on their expertise. The manufacturing of the Cooling Ceramics is extremely difficult and requires many separate processes. The concept was created together with British ceramic designer Simon Stevens. China does have great deal of knowledge on this type of ceramics. We just brought it to the next level with them. Hi, These products caught my eye. 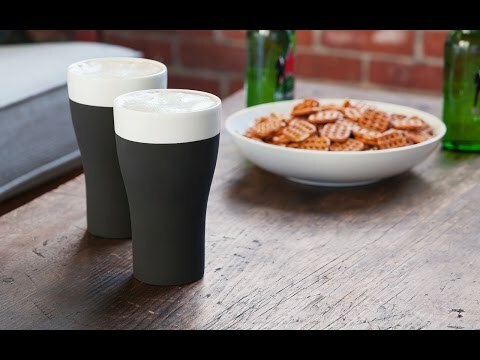 But I guess that the ceramic material used in making the tumblers is fixed....that is black. Someday is it possible to make them in other colors? @Gail There are some great advantages with the black color. Black attracts sunlight which actually enhances the cooling effect. So perfect for outdoors on a hot sunny day. Also the black is great color for... well blackboard. Does the tumbler also get cold when being held? @Christina Yes. If the tumbler is soaked in water it'll turn out cool even when being held. What happens when you put something hot in it? @Posy Hi Posy. 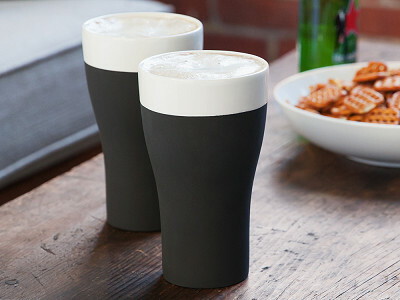 You can use the Tumbler just like any normal ceramic cup or mug. But if you soak it in water before use it'll turn cold. But it won't turn hot if you soak it in hot water. It'll still turn cold. It just takes a bit longer to become cold. Can the Cake Slicer be used for Pies too? Hi Scott, I think you would have trouble using the slicer on pies because it doesn't account for a dish in the way. 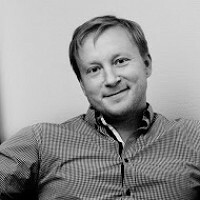 But luckily, from the sound of it, Juhani has the idea in mind for a future product so stay tuned!